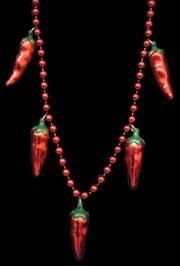 This necklace has 5 red chili pepper medallions. 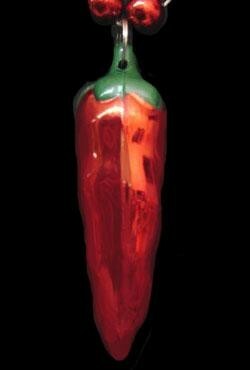 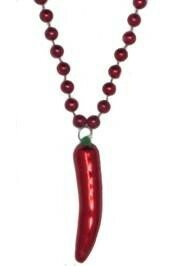 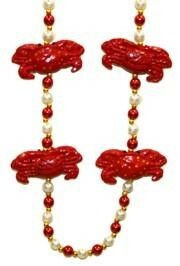 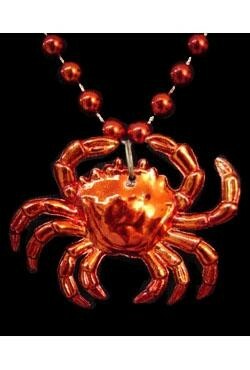 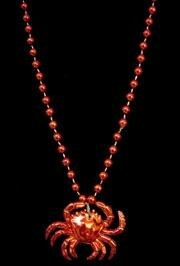 Show your spicy side by sporting this bead. 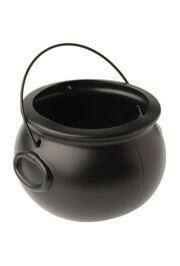 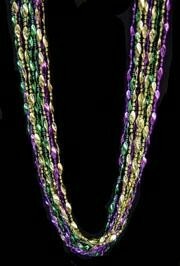 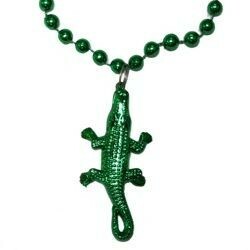 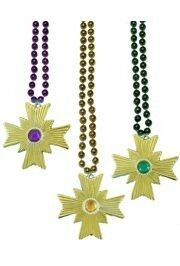 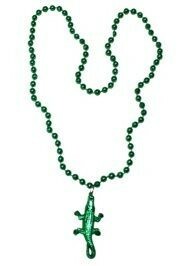 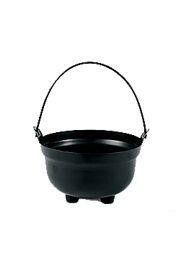 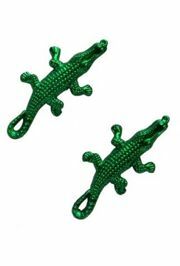 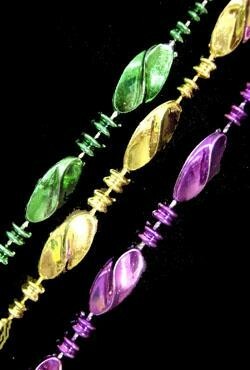 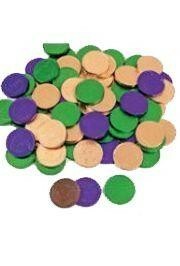 It's great for Mardi Gras parades and Cinco de Mayo celebrations! 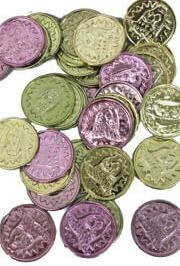 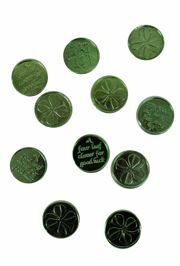 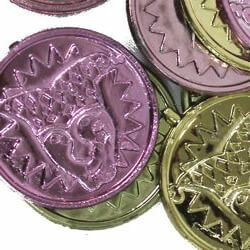 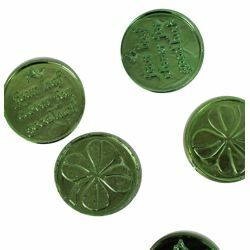 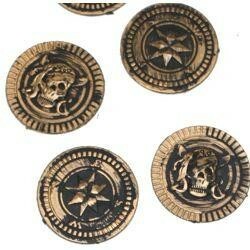 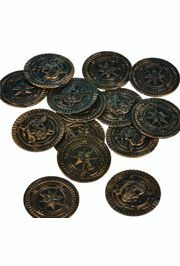 These 1½" green metallic doubloons with shamrock design are popular on the Saint Patrick's Day.